I only had 1 chariot painted up (painted back in 2001) so I was a little disappointed to find that the new Kings of War version 2 rules had a requirement of having chariots in units of 3 or 6. 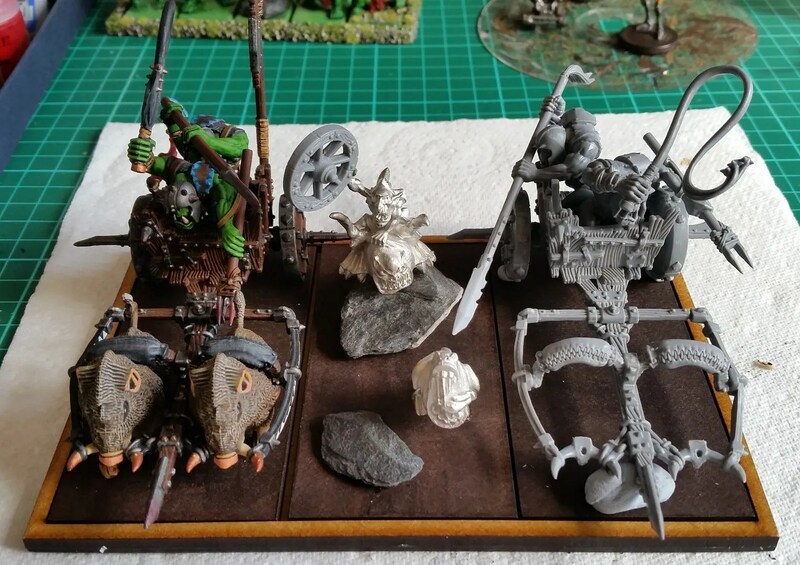 So I trawled back through my old “to build” and “bits” boxes and found the sprues for a chariot which had come in the Warhammer box set from around 2000. I didn’t have a third, but realised that I’d never get 3 to sit flush together because of the large spikes coming out of their wheels. 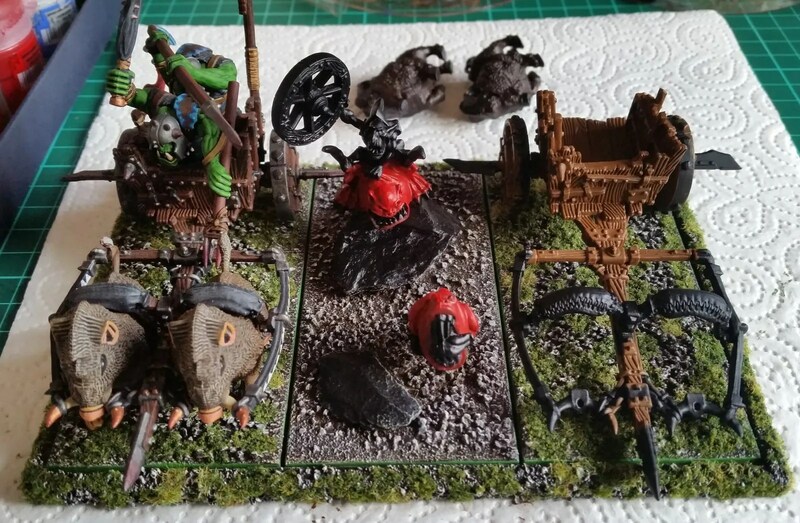 So, I decided to use a few bits to make a chariot base that had a goblin on a squig carrying a spare wheel for the chariots. I’ve not finished painting them yet, but here’s a couple of work in progress photos. I did manage to finish off the magnetic movement tray for them though.